This little Elm had a huge ugly cut right at soil level when it came into my possession a year and a half ago. This was carved quite deeply to get rid of and then it was extended upwards to try and get a more natural look. The carving was further worked on today. The large carving at the bottom has weathered well and the shari extending upwards from here was made deeper as well as fine carved with a Dremel. A small carving was done on the back where another large (not as large as the front one) cut was made. This resulted in a hole now going through from the back to the front. It is quite high up near the apex. The leaves have now all dropped and it was decided to work on the carving a bit more and then to also pull the branches on the left down a bit. The flow is to the left. 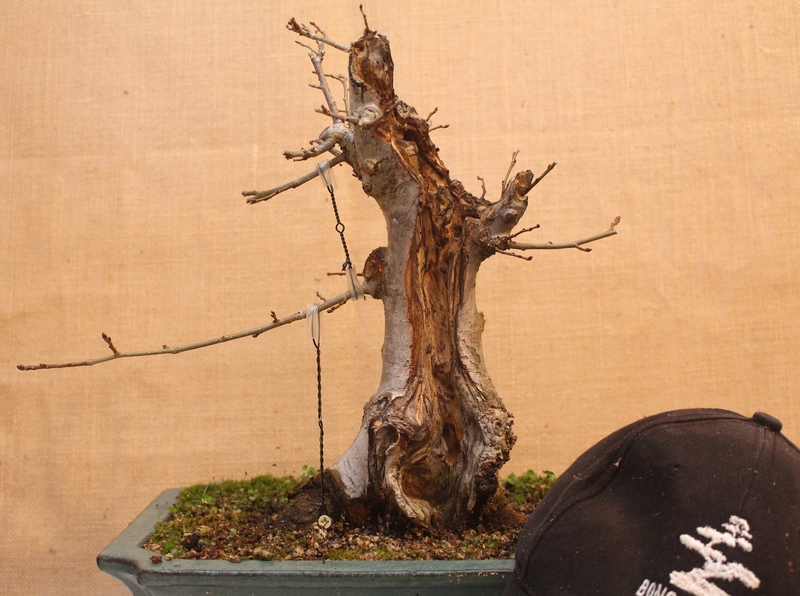 The branches on the right will be kept short and at the next repotting, the tree will be slanted to the left slightly and it is leaning to far forward at the moment. I have not seen too many of these around and treat it as I would any other Elm. The leaves are still very large and with proper pruning it will hopefully get smaller. 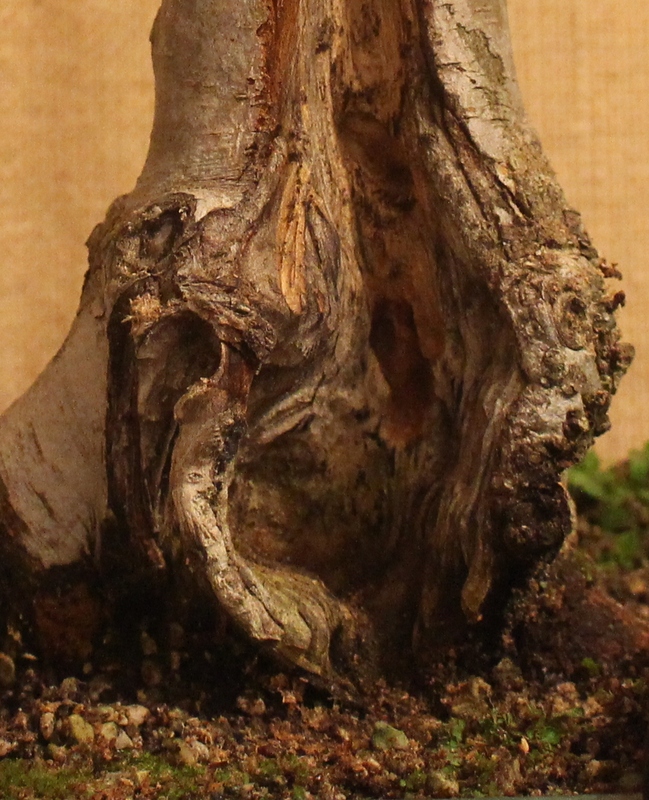 The bottom left branch will also be left to grow as it needs to get some width on it.